Who needs a bar with a view when you’ve got a bar with a diorama? 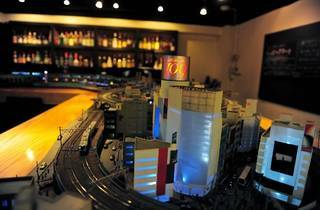 At Ginza Panorama, you can sip cocktails while gazing at an N scale model train wending its way around a miniature Shibuya, complete with 109 department store. 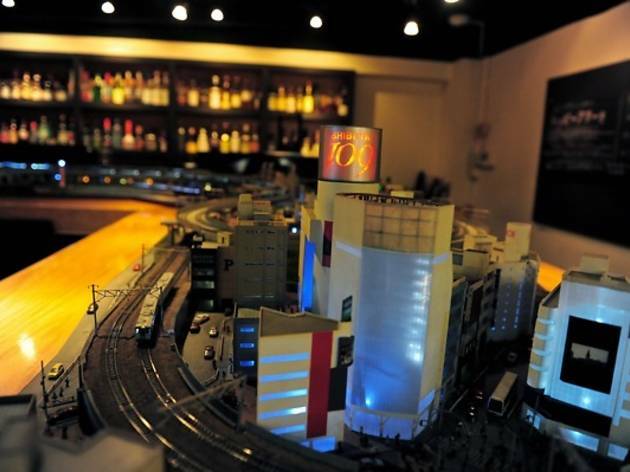 This sister shop of the original Bar Ginza Panorama – which, before you ask, actually is in Ginza – is the ideal drinking destination for train-spotters of the miniature kind. Take your pick from locomotive-themed cocktails like the 'Romancecar' (named after the Odakyu line service to Hakone) and 'Aogaeru' (in tribute to the green train carriage that sits opposite Hachiko), and then take your own train for a spin on the bar's model track. Tokyo bars don't get much geekier.